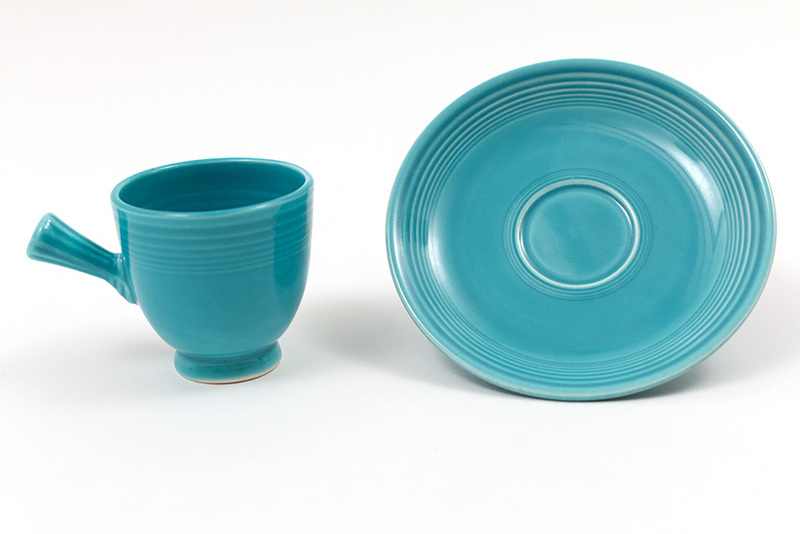 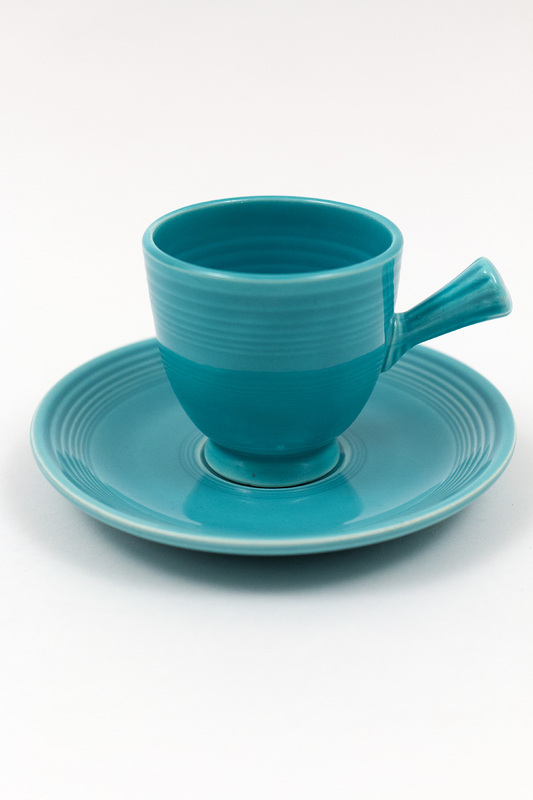 Circa 1937-1959: After dinner coffee cup and saucer set with the great stick-handled cups is one of the most charming pieces of the Fiesta pottery line. 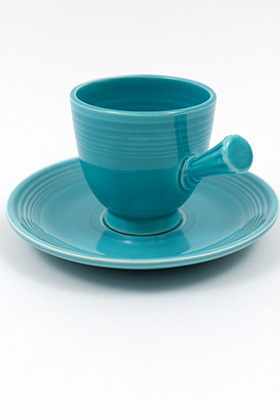 Delightful to think of using for after dinner coffee, or the legendary chocolate pot. The cups were hand jiggered and the stick handle was cast seperately and joined by hand. 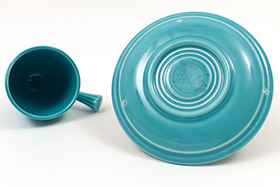 The foot was also hand turned to achive its flared out shape - all in all, just a lot of hand work went into these vintage Fiesta pieces. 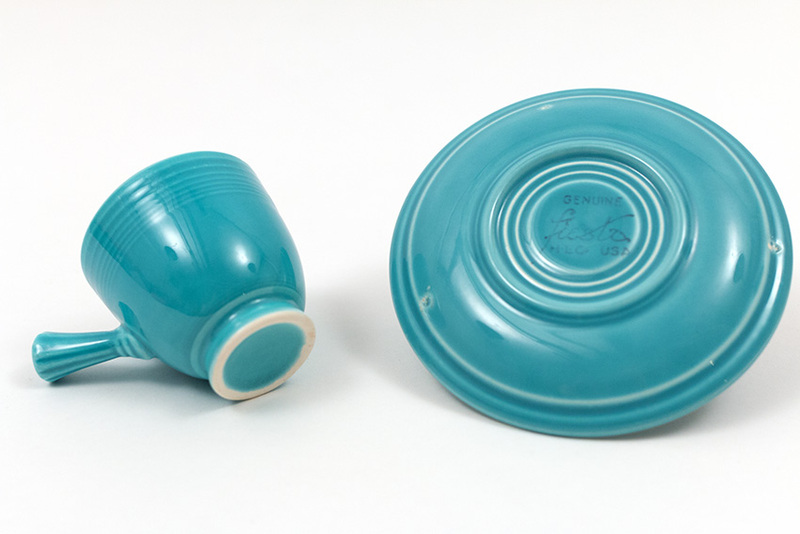 The cup is one of only a handful of pieces that was never marked. This example in original turquoise is in excellent condition without damage.